The Dial seems to work both separate from the screen, and while sitting right on top. 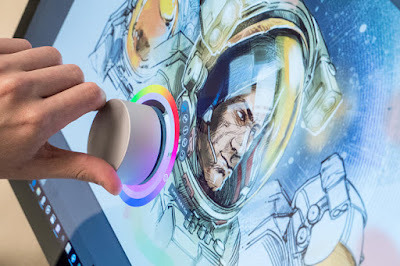 We assume there is some kind of magnetic connection to keep it in place, but the idea is pretty spectacular. 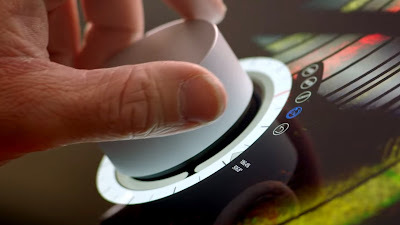 Tactile controls over digital software is always a winner, and although the video showed it being used mainly for artistic purposes, it could have endless uses, especially in editing and game-play.